If anyone can rescue the Situationist International from a descent into artistic inconsequentiality, it is McKenzie Wark. I always saw amongst their work sparks of interest, but limited sparks. Dying embers maybe. This shifted some of my thinking, and there is a lot here, I think, that continues to demand theoretical and practical work. Perhaps because it is firmly rooted in practice, written by someone who wishes to change the world. Changing the world is always where I though the Situationists fell down the most, their self-published words and collages greatly removed from the very really battles then and now shaping the dialectic between our physical environment and our lives and the shape of our thought. Where their work is useful for imagining change, you can find it here, and in a lovely selection of their own words in tom mcdonaugh’s edited collection the situationists and the city. But more on that soon, with more focus on their work itself. 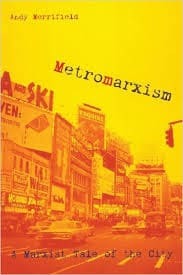 Before Wark I hadn’t quite realised just how much thought the situationists had put into this relationship between space and life, between cities and residents. I also like the rescuing of the group from the great-man driven rememberings, and the placing of them in concrete moments of space and time. What meaning can there be in the freedom to walk at night, through the Paris of the mid 1950s, the curfew of the occupation lifted and the curfew of the Algerian war not yet descended? The dérive appears almost as if it is a direct answer to this question. The dérive is the experimental mapping of a situation, the trace of the probabilities of realizing a desire. There is still the police to contend with, and delinquent Letterists and their friends would occasionally end up in jail for the night. But the dérive is more than the no-man’s-land between consciousness and facticity, for-itself and in-itself, freedom and constraint. It is rather the flux, the monist dialectic, which produces as one of its effects the experience of the gap between in-itself and for-itself in the first place. It is in struggle that we encounter the limits — they are only imagined until we actually try and shift something. I imagine they are not really where many academics believe them to be. 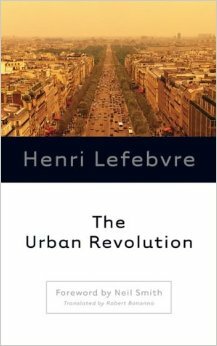 This is where I think the usefulness of Lefebvre’s thought and Situationist practice may come to the fore, but only where linked to the brutal fighting now taking place in almost all cities — over segregation, displacement, gentrification, redevelopment or actual occupation. Not to displace play, but to ensure it helps us fight harder against injustices, rather than make it easier to submit to them or worse benefit from them, even as others suffer. And it is a collective one. The derive is best carried out in groups.I like the idea of the collective, though the Lettrists and Situationists spent a lot of energy fighting amongst themselves and expelling people from the movement. Did it? Perhaps it did. We too stumbled around the Cluny Museum at regular intervals in our brief Paris stay. So returning to this made me laugh. Of the many things I’ve been reading on the legacy of the situationists lately, this is far and away the best.